We strive to bring you the highest quality day workshops and regular art classes on offer in the region. 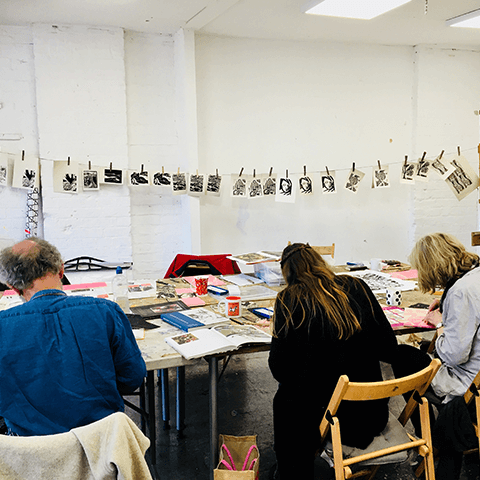 Every year we devise a large programme of day workshops with top quality visiting tutors, sharing new techniques, inspirational themes and a creativity that helps to make Pegasus a really exciting artists hub. 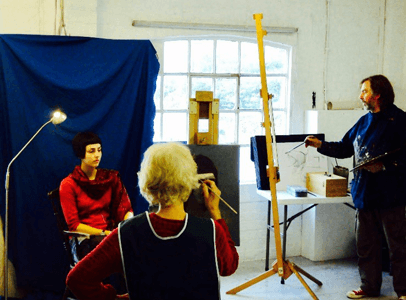 Whether you are a hobby artist, a total beginner or a professional wanting to refresh your skills, there is plenty on offer. During term time, our team of experienced tutors teach morning and afternoon classes throughout the year in a variety of mediums. Read on to find out more about watercolour classes with Richard Callingham, Mixed Media with Sue Rae, Max Hale's new courses that change medium each term to take you on a learning journey, Paul Fowler's Life Drawing and Drawing Skills classes, Alison Vickery's mixed media and exploratory courses and oil painting every Friday with Rob Collins RCA. When term begins, the buzz in Studio One is fantastic. It's a great sociable and learning environment. 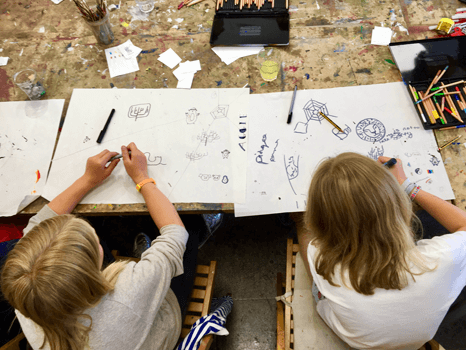 We also offer art workshops for young creatives to keep them busy in the holidays! 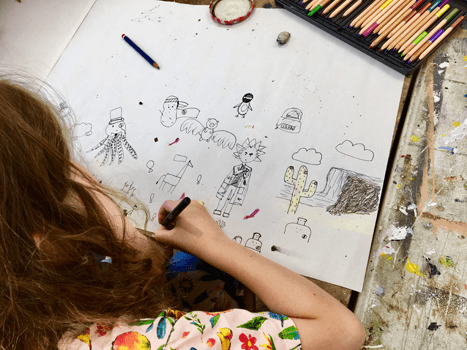 Dynamic duo, Liz Lancashire & Tam Inglis of Art Sparks teach the younger group aged 6 - 11 years - their imaginative themes are unrivalled, super inspiring and at times, mind boggling! 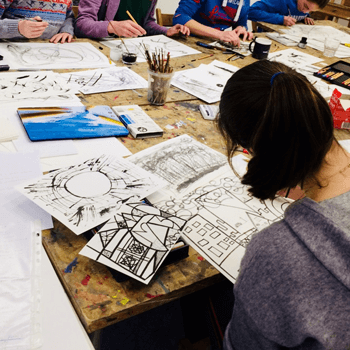 Freelance illustrator Imogen Harvey-Lewis teaches the older group (11 - 16 year olds) helping them to fill their sketchbooks, focusing on design led art, illustration and drawing - something completely different to their school syllabus. Join our artist community, learn new skills, garner advice and support and of course, stock up on the finest quality art materials. We look forward to welcoming you to Pegasus Art. Please refer to our Terms & Conditions before booking your workshop. All workshop and art class attendees receive 5% off in our extensive mill shop, next to Studio One. If you are joining us for a workshop, please bring a packed lunch as there is no café at Griffin Mill. To book a space on a course or workshop, or to find out more information, please contact us. All students who regularly attend a course will receive a 5% discount on purchases from Pegasus Art Shop. 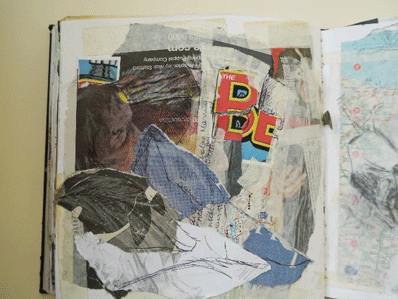 A fun day making your own sketchbook and then filling it! 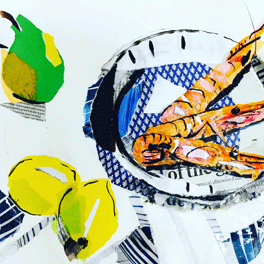 Work with freelance illustrator Imogen Harvey-Lewis and have fun experimenting with design led drawing techniques. Warm up with drawing exercises, adding colour, creating characters and filling the pages with interesting new ideas that can be accessed for larger projects at a later date. Roll up your sleeves and get creative! 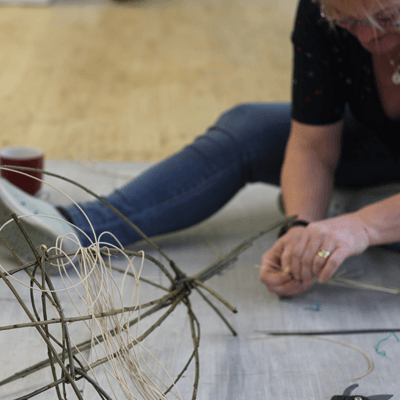 The workshop will take place in our newly refurbished Attic Studios ~ a large, light and airy space with plenty of room to get messy and spread out! Imogen will provide everything you need for this course! 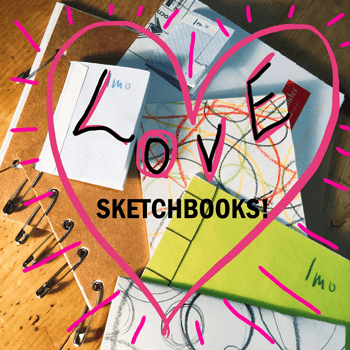 If you’d like to bring an existing sketchbook full of ideas, please do! If you have particular drawing materials you like to use, then bring those along too. Also, please bring a packed lunch and plenty to drink – there is no café at Griffin Mill. You’ll be able to take a good break at midday and sit around large tables to enjoy lunch together. We look forward to welcoming you to Pegasus Art. All workshop attendees receive 5% off in our extensive art shop. Students receive 10% discount with a student ID card. Intended for beginners, but refreshers are most welcome! 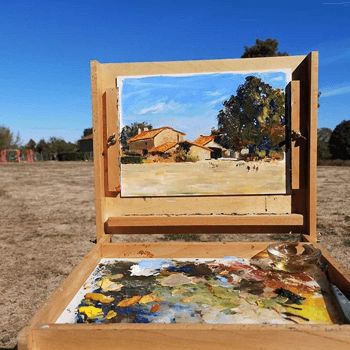 Have you always wanted to try oil painting but didn’t know where to start? 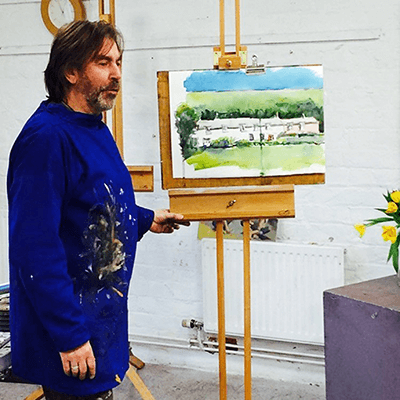 Max Hale, one of our regular tutors at Pegasus Art, teaches many mediums at all skill levels, but loves teaching total beginners especially in oils and helping to build their confidence to paint in this versatile medium. Oil paints are sometimes seen as ‘difficult’ to use and even daunting. This two day introduction will teach you fool-proof skills in order to dispel the myths and enigma surrounding the ‘medium of the masters’. 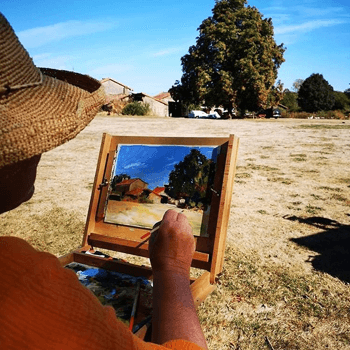 His main objective is to give you the knowledge required whilst teaching you the method to make a painting whilst bringing your artistic aspirations in line with newly found know-how. The luxury of having Max Hale for two days is that you can ask as many questions as you like! About Max: Max has been teaching at Pegasus Art for four years and has built up a popular following of students. He attended Harrow School of Art where he studied Fine Art and was tutored by Ken Howard OBE RA. He became an apprentice illustrator in a London studio but found his way back to fine art, his true passion. 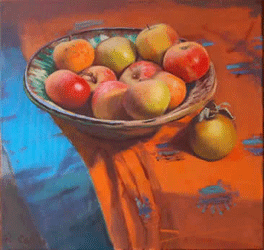 He has been teaching for over twenty five years, whilst exhibiting and painting throughout. He writes for The Artist magazine, among others, and is an Ambassador for Royal Talens. 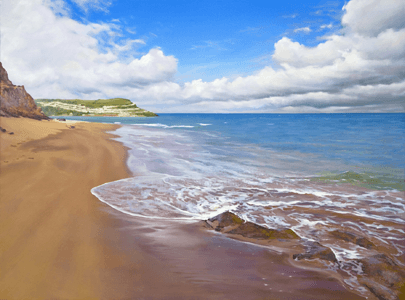 He has had paintings exhibited in most areas of the country and many in London his passion to tutor and motivate others is obvious and works in all mediums. At least two canvases or canvas boards typically 30 x 40cm. Such as Loxley Gold Stretched Traditional Standard. Traditional or water-mixable oil paints. Such as the Cobra Water Mixable Oil Colour Set or the Cranfield Artist Oil Colours. Suggested minimum colours: Titanium white, cadmium yellow medium or light, cadmium red, sap green, yellow ochre, cobalt blue, ultramarine, raw umber. Flat palette of your choice. Such as this Wood Oval Palette. Don’t worry if you’re not sure about the above materials list – Max can help you choose from the art shop on the day. 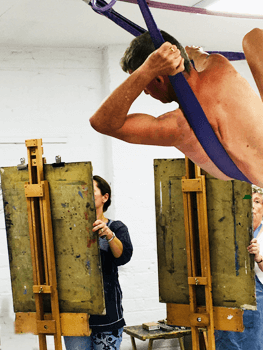 Check out Max Hale's top tips for oil painters. All attendees receive 5% off in our shop adjacent to Studio One at Pegasus Art. Tea & coffee will be provided throughout the day. Please bring a packed lunch as there is no cafe at Pegasus. 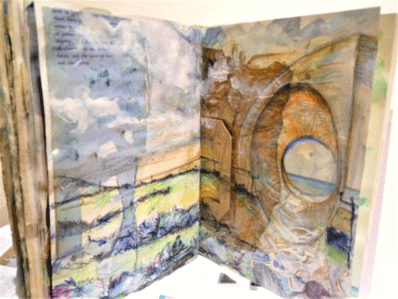 Create an engaging, exciting sketchbook that feeds your creativity! Do you have ideas that you can’t seem to translate? Does your proudly purchased sketchbook leave you feeling flat? Melanie can show you how to create a sketchbook that will feed your desire to work within its pages and fuel your imagination. It could even leave you feeling inspired and confident enough to produce that piece of artwork that up until now seemed to remain in your head. 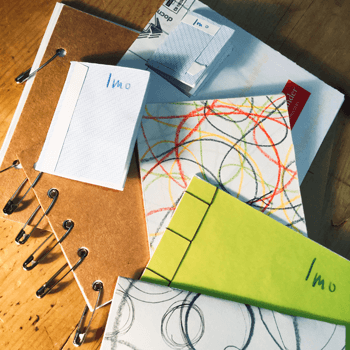 Learn how to craft your sketchbook into a beautiful working document which will leave you with plans and ideas for the future. About Mel: Mel's painting degree from Cheltenham in the mid 90’s allowed her to find an artistic voice. Following this, she spent twenty years teaching secondary school pupils and just three years ago decided to become a full time professional artist. 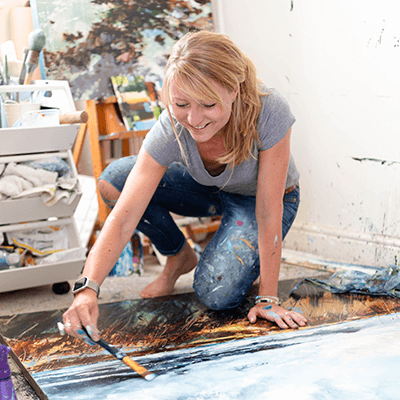 Her first solo show at Chapel Arts in Cheltenham launched her new career. She is exhibiting at ‘The Other Art Fair’ a Saatchi affiliated show in Bristol this July. She is full of energy and enthusiasm for her new audience of students and is sharing her creative process. All attendees receive 5% off in our shop adjacent to Studio One at Pegasus Art. All of the materials below are available. Tea & coffee will be provided throughout the day. Please bring a packed lunch as there is no cafe at Pegasus. Any collage materials that you fancy. For example, tracing paper, old book pages, tracing paper in muted colours. 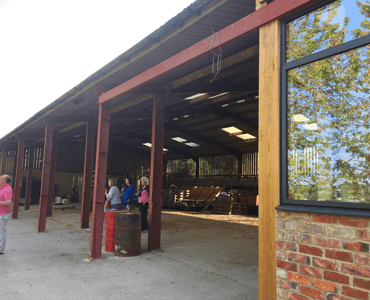 A packed lunch and water – there is no café at Griffin Mill. 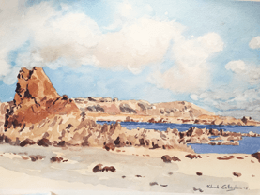 The aim of this one day workshop is to encourage a confident but loose style of watercolour painting within coastal and beach environments. 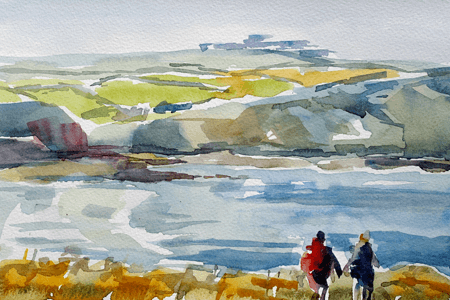 Many artists paint with watercolour on holiday and very often in a relaxing situation on the beach or close to the coastal path for instance. This workshop will help and inspire them plus include how to mix popular colours found by the sea and close to it. They can be subtle and beguiling so during the tutor demonstration he will be giving out tips on what palette to use and how to make the most of pads, paper and materials in general. 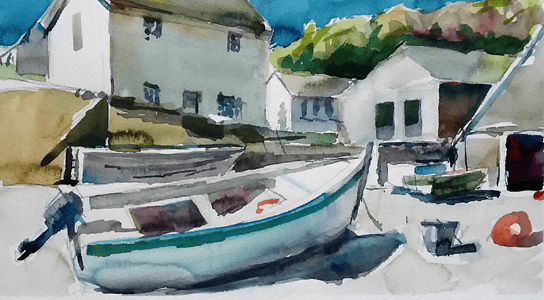 Max will give you tips on mobile watercolour painting and sketching, how to use appropriate brushes and drawing techniques. Gaining the right atmosphere is important too so areas of mood and concepts of seaside painting will be discussed. Suitable for all levels of artist whether new to this style or practiced. The shop will be open from 9am, so you will have time to purchase materials before the workshop. Our staff can offer you any advice you need. At least two or three landscape references to use for painting, photographs or sketches. Please do not bring paintings to copy whether your own or from a third party. Five sheets of watercolour paper, NOT or Rough surface, minimum size A4. A water pot and some tissue or kitchen roll. Mixing palette (such as Jakar Daisy Shape Porcelain Palette) or old china plate. Soft pencil ‘B’ to draw the outline. All attendees receive 5% off in our shop adjacent to Studio One at Pegasus Art. Tea & coffee will be provided throughout the day. 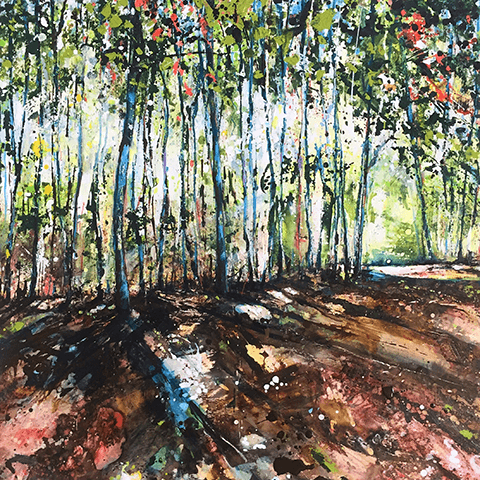 We are very fortunate that Sarah Wimperis is our Guest Exhibitor during Open Studios 2019, exhibiting in our newly refurbished Attic Studios on Saturday 11th and Sunday 12th May. In the evening she will delight us with stories of travelling with her paintbrush. 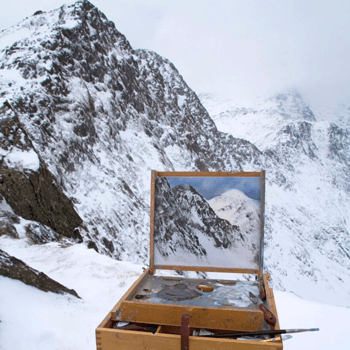 “For over forty years I have been travelling with my paintbrush. From the painting kit in an old wooden box that travelled all the way to China on the Trans-Siberian railway in 1984, where paintings literally saved my life, to my glorious travelling studio which I take with me across Europe, painting to commission and getting as much plein air painting done as humanly possible. Sarah’s talk will be illustrated with a huge variety of drawings and paintings and there will be an opportunity to ask as many questions as you like! 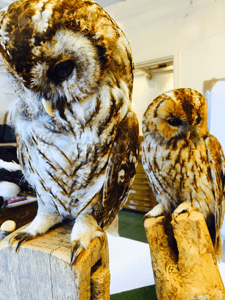 The other end will have a large installation of “Wild Woodland Creatures” (taxidermy) which artists can move around and draw from different angles. 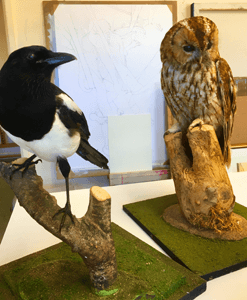 Paul’s installations are legendary – there will be branches covering the beams, and beautiful creatures on tables and plinths. Teaching: Paul has been teaching Fine Art for the past twenty years, the last ten at Pegasus Art. His teaching style is inclusive and encouraging. He guides and assists rather than dictating. Come away with a small detailed piece, or try sketching on large pieces of paper in a loose style ~ step out of your comfort zone and enjoy drawing from these beautiful creatures. 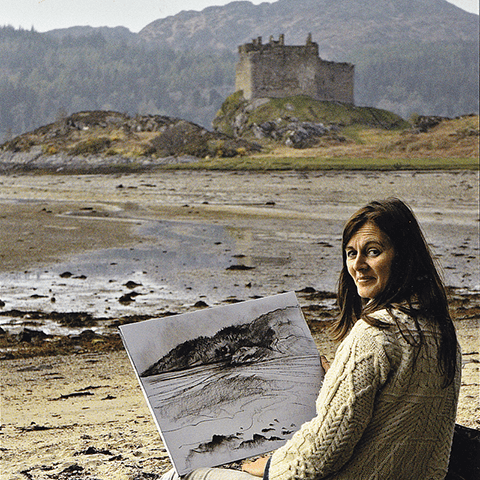 Fiona has been drawing and painting trees and landscapes for the last 30 years. 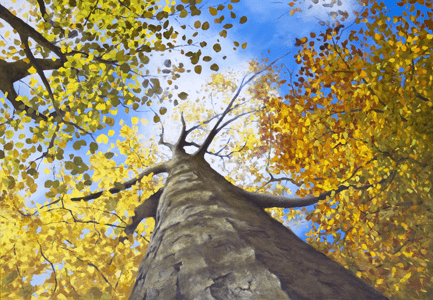 As a member of the contemporary art movement The Arborealists she is uniquely qualified to bring her skills, knowledge and passion for nature to this unique course. She has been known to spend day upon day sketching one single tree, measuring and observing every tiny detail. 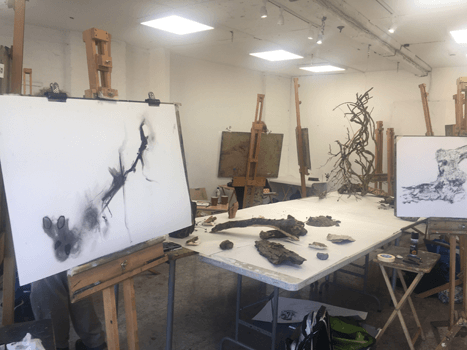 She will share her passion for natural forms and tree landscapes with her wonderful still life made up of giant tree roots, suspended branches and other natural objects. 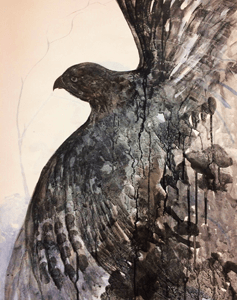 You can explore a range of media – ink, acrylics, liquid graphite, charcoal, pencil and collage. Fiona sometimes uses the green dye from natural moss in her paintings! Experiment and have fun. 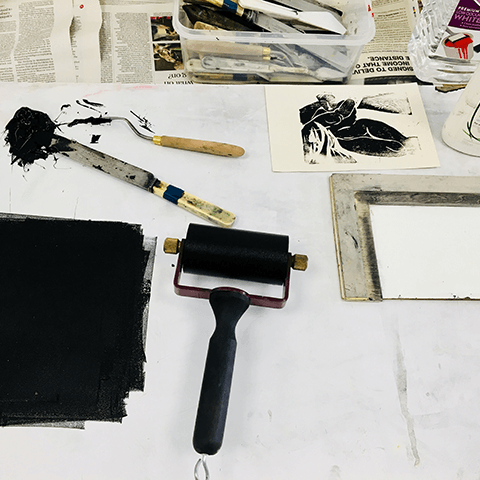 The course will involve spending a day in our newly refurbished Attic Studio developing paintings and collage on large sheets of watercolour paper, working from previous sketchbook material. Please note: We will NOT be working from photographs, so it is important that sketches and drawings are made outdoors in advance of the course. There will also be the opportunity to purchase a signed copy of Fiona’s book, ‘A Tree Within’ written with co-author Alan Wilkinson for £25. About Fiona: Fiona McIntyre studied at Edinburgh College of Art, followed by Malmö and an M.A from Winchester. 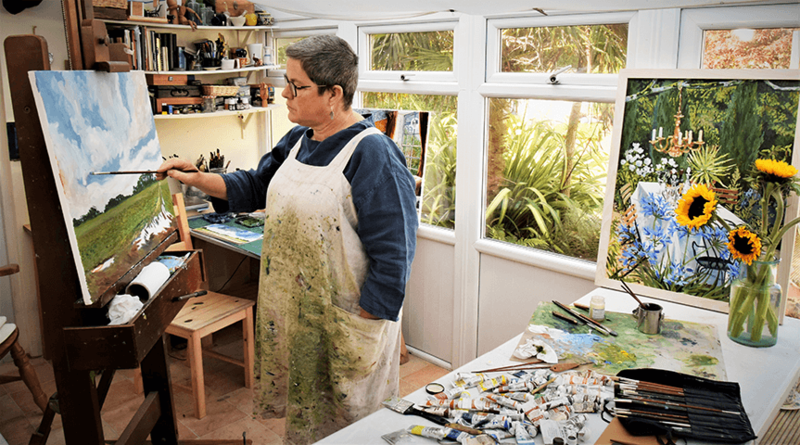 She is a figurative/landscape painter and member of the Arborealists with work represented in various public, corporate and private collections in the UK and Scandinavia. She is currently exhibiting in France at Dortoir des Moines de Saint-Benoit, Poitiers and in a major exhibition at Southampton City Art Gallery in - 'Capture the Castle, Turner to Le Brun'. She is co-author with Dr Alan Wilkinson of "Fiona McIntyre: A Tree Within", published 2016 (Sansom & Co) and recently gave an illustrated talk on her art for a book signing event at Waterstones, Gower Street. 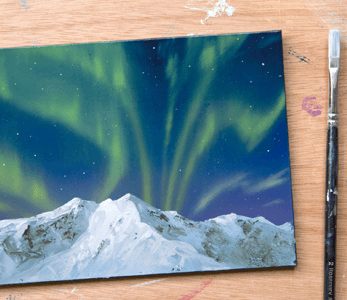 Acrylic paint – whatever you have. See below a guide for the colours you may need. All workshop attendees receive an extra 5% off art materials from our extensive shop next to Studio One. The shop is open from 9am, so please do come before the workshop to purchase what you need. 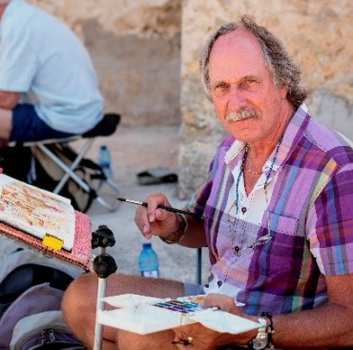 You are invited to a fun and informal evening at Pegasus Art to enjoy a demonstration by well known watercolourist Barry Herniman and to meet Anke Heintz, our UK ambassador for Schmincke finest artist paints. There’ll be a chance to chat and enjoy a glass of fizz before the demo begins. Everyone is welcome to this FREE EVENT from 6 – 8pm in our newly refurbished Attic Studios at Pegasus Art near Stroud. 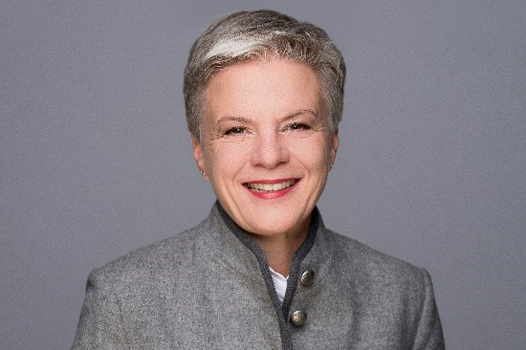 Anke will give you a brief history of Schmincke who have been manufacturing finest artists materials near Dusseldorf since 1881. She’ll introduce you to their Horadam watercolour paint ranges and aqua - mediums, while Barry demonstrates how you can use them. We are huge fans of these high quality watercolours, loved for their beautiful colours and high pigment load ~ Schmincke only use the best pigments for their paints. Please come earlier if you’d like to do some shopping with an extra 10% off Schmincke Horadam watercolours and aqua-mediums including masking pens. 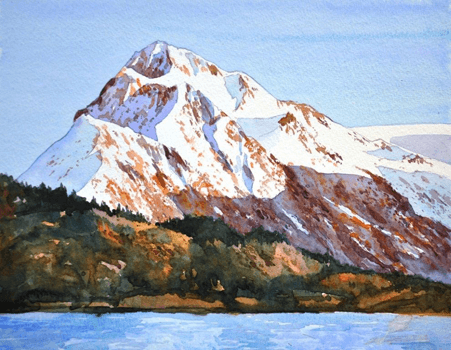 7.15pm – 7.45pm Demonstration by Barry – watercolours and mediums – answering questions and showing you his techniques. Take a goody bag with you! 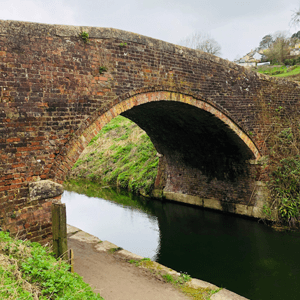 Set out on an adventure with professional artist, David ‘DJ’ Johnson to paint the pretty Stroud canal and towpath near Pegasus Art! 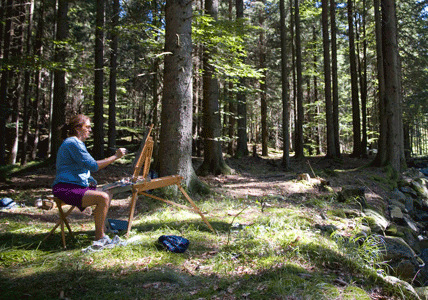 Don’t worry if you have never painted en plein air before – it’s what you’re here for! 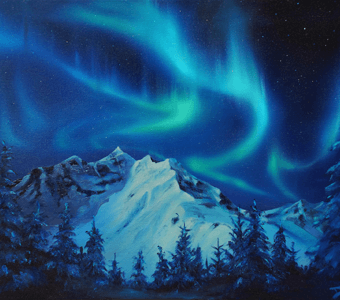 David is very enthusiastic and well practised at painting outdoors in all kinds of landscapes. He will immediately put you at ease and help each student to choose a good spot. He will help you to select and mix the correct colour palette and take a close look at tonal values, colour, light, form and textures. 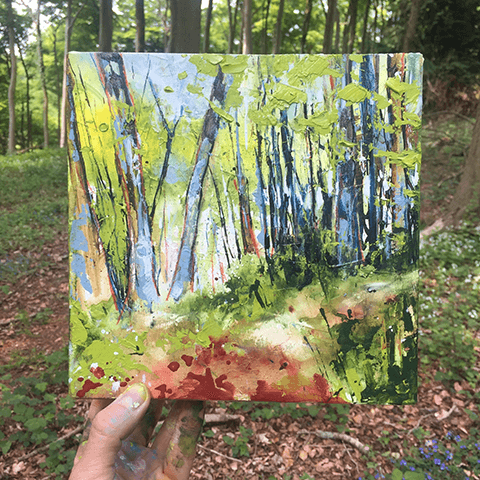 The aim is to have fun, learn new techniques and build confidence for future solo painting adventures outdoors! Our base is Studio One at Pegasus Art and we can retreat there if the weather is dreadful. Please make sure you bring wet weather gear (including a hat) for light drizzle or blazing sunshine! DJ recommends bringing the following materials with you. This is just a guideline and you are welcome to bring your own materials and ask us any questions. Useful, but not essential colours are: Titanium White, Yellow Ochre, Cadmium Yellow, Burnt Sienna, Alizarin Crimson, Raw Umber, Purple, Ultramarine Blue, Cerulean Blue and Sap Green are a good basic set of colours plus anything else you want to bring along. Brushes: Bring a selection of whatever you have including a filbert, a flat and a rigger. Palette Knife if you’d like to have a go at using one. Suitable clothing and footwear for inclement weather including a hat for both sun and shade. 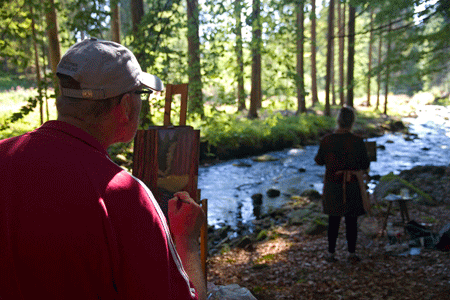 A camera or phone to photograph the scene you are painting. All attendees receive 5% off in our shop adjacent to Studio One at Pegasus Art. About DJ: DJ has developed his style through many years working in professional fine art studios - designing and producing artwork for commercial spaces, public areas and private estates around the world. He paints every day and teaches on a regular basis - he has so much energy and enthusiasm! He was shortlisted for Artists & Illustrators Artist of the Year in 2013, 2016 and 2017. His workshops are great for building confidence, tackling unusual subjects and picking up techniques and tips. Debunking Composition: Melanie will show you how to create dynamic compositions with her easy to follow hands on teaching methods. You will experiment with composition and leave with the skills that will allow you to make use of composition with impact. Colour Theory: Using colour really helps to evoke emotion in our artwork. All too often however it becomes an element of our artwork that we guess at. Melanie will show you how to use colour theory as a tool to create impact leaving you feeling confident about your colour palette. What will I achieve? You will create one or more landscape compositions during the course of the day. These landscapes will have a visual impact, using your new found knowledge of composition and colour. All of the materials below are available. Tea & coffee will be provided throughout the day. Five print outs of landscapes that have meaning to you. They could be several images / photographs of the same location from different angles OR different images. The print outs should be A5 minimum. Sketchbook – no larger than A4. Boards, card, paper or canvas to work on depending on the materials you want to work with. I suggest not larger than roughly 8 x 8 inches in size or similar sized rectangle format. 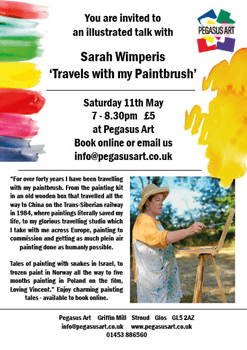 Followed by an evening talk by Sarah 'Becoming Vincent' based on her on her experiences for painting for the film Loving Vincent and what she learnt along the way! See more details here. 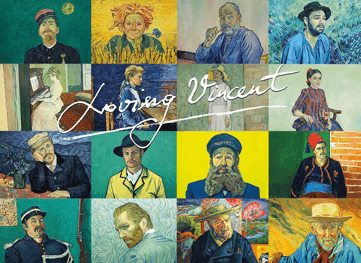 Sarah Wimperis is a professional artist and illustrator and the only English artist to be part of a team of 125 artists from across the globe to inhabit the works of Vincent Van Gogh in order to create the Oscar nominated animated film Loving Vincent. Sarah’s workshop is intended to gain a little understanding of the style and techniques of the artist Vincent Van Gogh. It is also intended to be fun and a chance to exercise the right hand side of your brain! It is open to all levels of artist from professional to complete beginner. We will look at several demonstration paintings and drawings in the van Gogh style, Sarah will explain his techniques. Please bring along a reference photograph of your subject. Try to find a photograph that doesn’t involve lots of teeth showing! If you want to paint a self portrait you will need a small self-standing mirror. About Sarah: A professional artist and illustrator, the only English artist-animator to work on the film ‘Loving Vincent’ and through sheer practice, an expert in the style of Van Gogh. 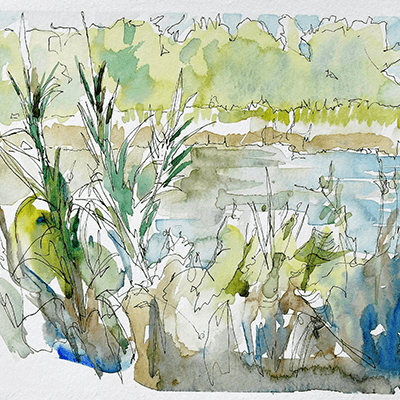 Sarah has exhibited with the Sunday Times Watercolour Competition, The Discerning Eye, the RI and RWS aswell as numerous solo shows. Sarah has written two painting books and illustrated hundreds of other titles as well as working on BBC Jackanory. She was head of Art at the International School of Stavanger in Norway for six years and has taught art to adults for years. She is Artist Ambassador for Artlook Software and Royal Talens. Paint: traditional oil paints or water based oils. A starter set should consist of two yellows – lemon yellow and a stronger cadmium or equivalent, two reds – cadmium red or an equivalent bright red plus an alizarin, madder or cadmium deep red; two blues – cobalt blue and ultramarine (landscape artists like cerulean for the sky), a few earth colours – yellow ochre, burnt umber, burnt sienna and the stronger white Titanium. Greens can be mixed but Terre Verte is useful for colour mixing. Brushes: Suitable for oil painting, filbert, small, medium and large. Cardboard box / flat piece of cardboard to lay your wet painting on the car journey home. Don’t forget to bring a packed lunch and water with you as there is no café at Griffin Mill. We have plenty of options in the shop, with an extra 5% off for workshop attendees. We can advise you, so don’t worry if you’re not sure! The shop is open from 9am, so please do come before the workshop to purchase what you need. 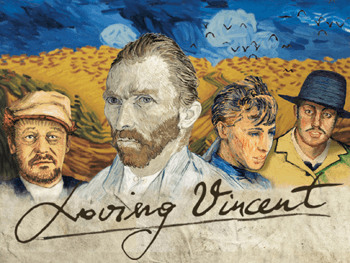 Sarah Wimperis is a professional artist and the only English artist to join the team of one hundred and twenty five international artist-animators to inhabit the works of Vincent Van Gogh in the making of Oscar nominated film, Loving Vincent. Her illustrated talk gives an insight into the creation of the film and life inside the studios in Poland where she worked for six months. 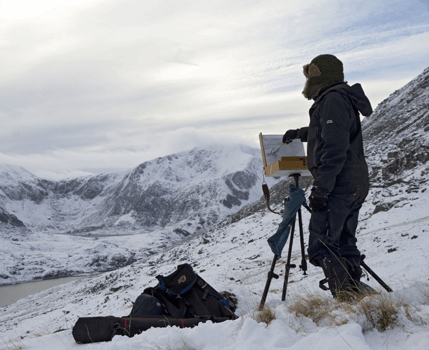 Answering a discreet advert on Facebook changed her life, and she went on to paint over three hundred and eighty frames in total – an average of four canvases per day, which translated into a grand total of thirty seconds of film! The film took six years of development, over 1,345 paintings and 65,000 frames that re-imagined a period of Van Gogh’s life into film. An astonishing 1,300 litres of oil paint was used by artists from nineteen countries across the world. 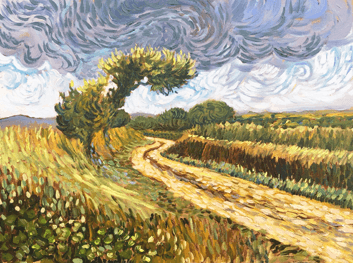 Eight weeks painting a wheat field that took Van Gogh four hours, was a painstaking process. 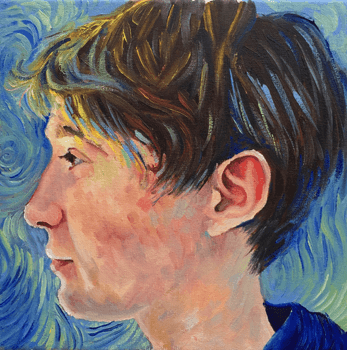 If anyone knows how to paint in the colours, style and technique of Van Gogh, it’s Sarah! Find out what happens when you ‘Become Vincent’ and how much oil paint you really need to hand paint a feature film! 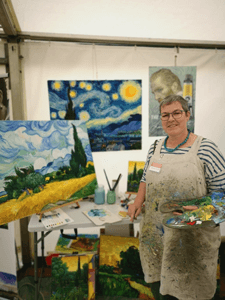 Join us in our newly refurbished Attic Studios at Pegasus Art for this early evening talk and also for the workshop she is running during the day - Van Gogh Portraits. About Susan: Susan Kester is a graduate of Goldsmith’s University and has recently received an MA in Drawing for Fine Art Practice from Oxford Brookes. She has taught people of all ages and experience since 2002, and is currently running several popular drawing courses locally. Her classes are relaxed and enjoyable with an emphasis on building confidence, increasing knowledge and learning new skills. She also has a studio practice and exhibits regularly. We have plenty of options in the shop, with an extra 5% off for workshop attendees. We can advise you, so don’t worry if you’re not sure! Please bring a packed lunch with you ~ there is no café at Griffin Mill. Tea and coffee available throughout the day. The shop is open from 9am, so please do come before the workshop to purchase what you need. 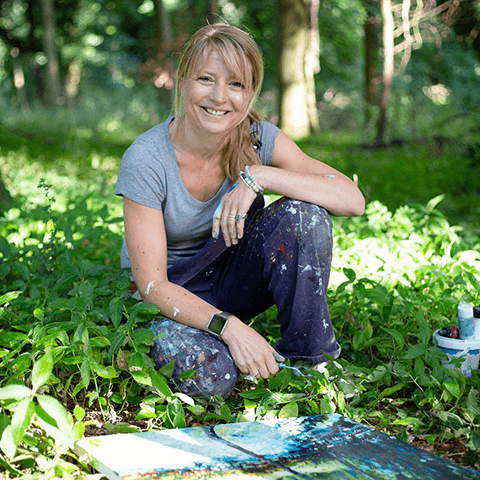 Lucy Kent is a seasoned landscape painter with a passion for the great outdoors, painting in all weathers, all over the world. She has a strong focus on the visceral quality of the paint itself, often creating thick impasto style work. 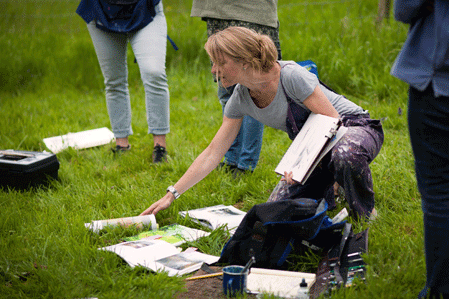 She will delight in showing you how to mix a landscape colour palette, how to plan your composition and execute an en plein air painting. If the weather is inclement, the group will continue to work outdoors under a covered barn. Lucy will begin with a demo and will then help you start your own paintings. You will be free to watch Lucy paint throughout the day alongside you, and she will give regular positive critiques of your painting and help whenever needed. 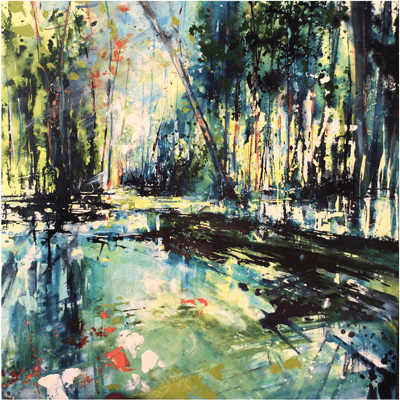 This masterclass will have a strong focus on light and colour and will give you confidence to be loose and expressive with your brush and/or palette knife. Important Note: Please do not pour any turps or Zest It onto the ground or in the sinks. Please respect the location where we are painting and leave it as we found it! Please take everything away with you. About Lucy: Lucy is a contemporary landscape artist painting in oil, predominantly en plein-air, taking her paints wherever she travels. She trained at Charles H Cecil Studios in Florence and has exhibited with The Royal Society of British Artists and The Royal Institute of Oil Painters, among others, at The Mall Galleries, London. 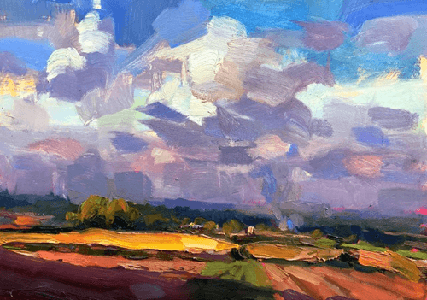 Originally trained in portraiture, the last five years have seen her focus on landscape painting. Her work hangs in both private and commercial collections in the UK and abroad ~ she has had two sell out shows to date. Lucy views her work like a visual diary, intimately recording her experiences and the beauty in the world around her. 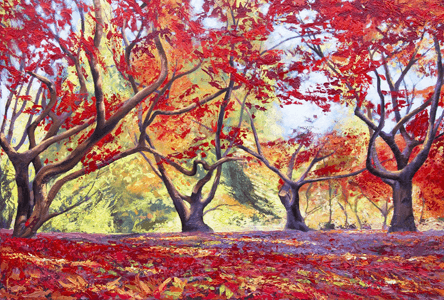 A palette knife is used to build the layers and tell the story of the scene unfolding, which results in an energetic and vibrant response to the subject matter. 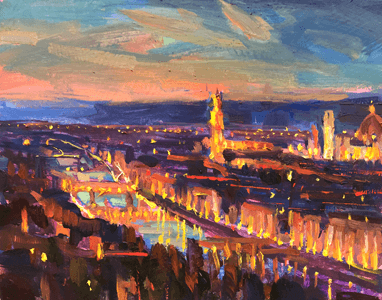 She is particularly inspired by dramatic lights and will often re-visit the same spot a few times at different times of day and year, drawing inspiration from the Impressionist movement in modern day. Although figurative in style, Lucy has a strong focus on the visceral quality of the paint itself, so areas of the painting when isolated appear completely abstract. 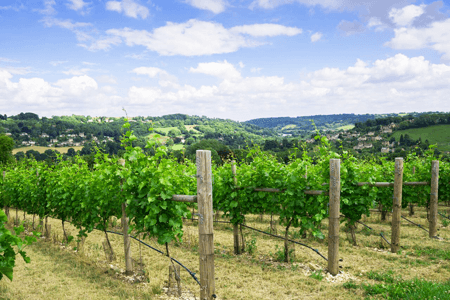 Woodchester Valley Vineyard: Woodchester Valley Vineyard has three sites in Gloucestershire ~ Amberley, Woodchester and Stonehouse covering forty five acres with a total of 60,000 vines. 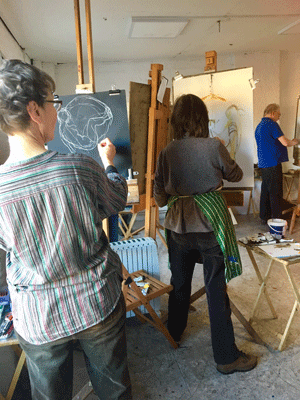 For this painting masterclass, we will be based in Woodchester, just a ten minute drive from Pegasus Art Shop. We hope there are lush green vines to paint in the middle of June! We will have use of the wine tasting room from where we will venture out and explore the vines before setting up for painting. There is an open sided, large covered barn where we can paint in bad weather. 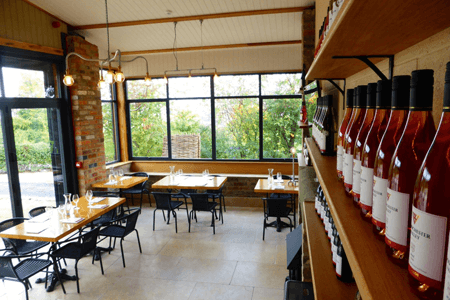 Please bring your own packed lunch for a midday break, with a brief wine tasting! There is tea and coffee available on the day. All materials can be bought or pre-ordered from Pegasus Art Shop with an extra 5% discount. 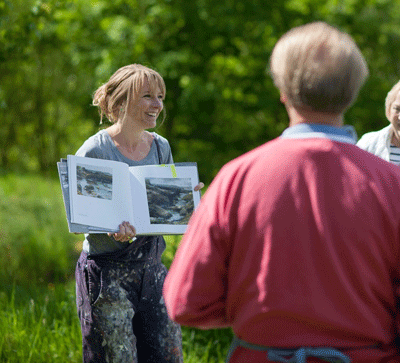 Lucy favours Michael Harding oil paints, and there will be some to sample on the day. Please also bring the following basic colours: Zinc White, Yellow Ochre, Cadmium Yellow, Lemon Yellow, Burnt Sienna, Ultramarine Blue, Cerulean Blue, Cobalt Blue, Sap Green, Olive Green, Burnt Umber, Cadmium Red, Alizarin Crimson, Permanent Magenta. If you would prefer to use water based oil paints, we recommend Cobra Oils. Brushes - Flat and Filbert. You will need ten brushes each in varying sizes – one really large one, right down to a small one for detail. We love Pro Arte Series B Filbert Brushes. Palette Knives - how about our handy starter set of 5 palette knives. A plastic bag for taking rubbish home. A palette - Cappelletto Walnut Rectangular Palette 25 x 35 cm or similar. Panels or Canvas Board - Lucy recommends size 34cm x 28cm, but you are free to choose a size that suits you. We recommend the following: Ampersand Artist Panel Canvas Texture 1.5 inches (3.8 cm) Deep Cradled Sizes or Ampersand Artist Panel Primed Smooth 1/8 inch (4 mm). Field easel - Mabef M27 Sketching Field Easel or similar. 2 x large empty jars for cleaning brushes and storing discoloured turps. You can use the jar for water if you are using water based oil paints. 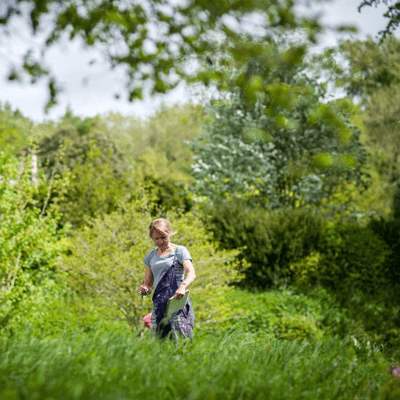 We look forward to welcoming you to Woodchester Valley Vineyard. Please arrive in good time to set up before the workshop starts at 10am. You will need to take your equipment home with you. 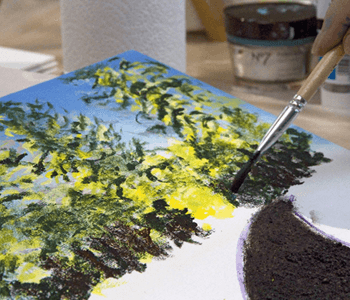 The aim of this two day workshop is to encourage a free style of thinking and to build confidence to create semi-abstract and abstract paintings using acrylic or oil paint. Abstracts are not just works of art without thought or planning but created from the artist’s vision and emotions. They are executed with prior thought and with an end goal in mind. 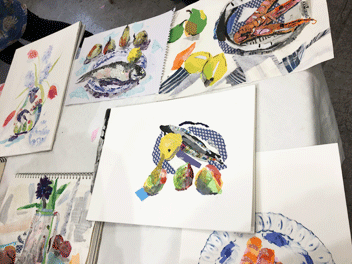 In this introductory session we are concentrating on form, colour and dynamics. Firstly, we will identify individual ideas by discussing your likes, dislikes and what inspires you visually. 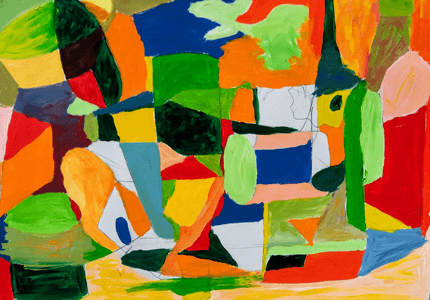 We will lay down some initial shapes that relate to items that Max has provided with a view to abstracting those shapes by over ‘drawing’ then painting with controlled space. This semi-abstract approach helps to break the barrier between representational or figurative art into a more abstract way of thinking. 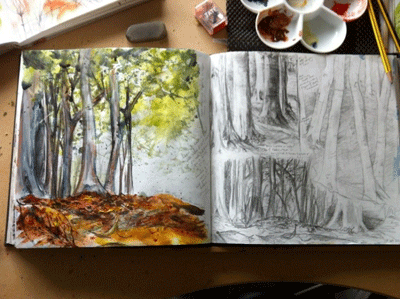 Your second exercise will be to plan new work in your sketchbook using only black and white. 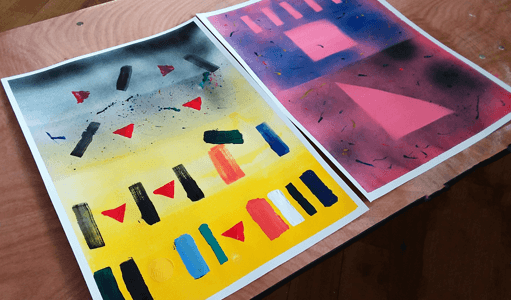 From there, you’ll be given free rein to express those ideas in an abstracted way though form, colour and dynamic areas – these concepts are the essence of effective abstraction. It’s an exciting genre which will help to draw you out of your comfort zone! Suitable for all levels of artist whether new to this style or practiced. All attendees receive 5% off in our shop adjacent to Studio One at Pegasus Art. The shop will be open from 9am, so you will have time to purchase materials before the workshop. Our staff can offer you any advice you need. These are suggestions, you can buy a version of what is suggested! At least five sheets of A2 cartridge paper. Gessoed boards - if you want to prepare your own boards with gesso, please do so. Max recommends 40 x 30cm in size. Email him direct for more information. 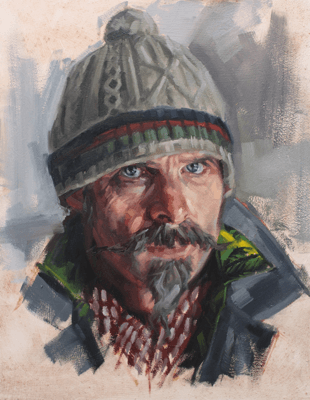 Oil paints – whatever colours you have, or you can buy a starter set such as Michael Harding Oil Paints Introductory Set. Acrylic paints - whatever you have already, or a starter set like the Cranfield Spectrum Acrylic Paint Set. Palette Knife – any size (such as RGM Progrip Palette Knife. Rags - to wipe brushes. Flat palette (such as Cappelletto Walnut Palette Rectangle). 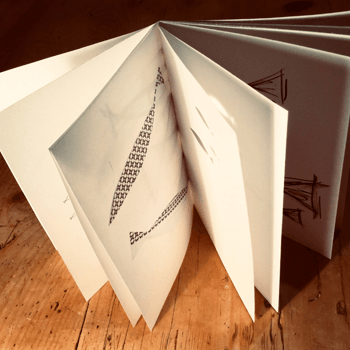 Sketchbook – A3 or above. 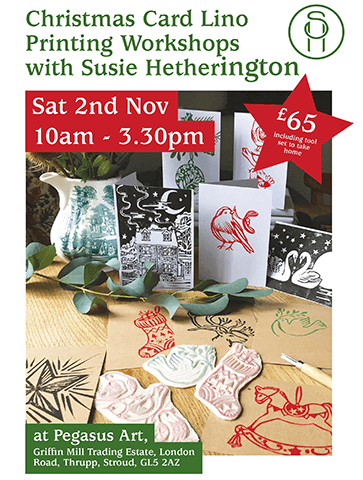 Join local textile designer, Susie Hetherington, for her Easy Lino Printing workshop at Pegasus Art. Absolute beginners can join this gentle day of designing and crafting. Susie provides all the materials and guidance – all you have to do is turn up and bring a packed lunch with you! You will design and carve one or two motifs and experiment with printing on different papers to create a memento to take away. All ideas are welcomed... Susie will bring lots of things to get you started. The aim of this one day workshop is to explore our heritage and countryside with it’s myriad of beautiful and picturesque cottages, houses and gardens. Some of the most amazing yet simple scenes involve traditional, old or handsome buildings within ‘perfect’ or beautiful scenery. It doesn’t matter if we don’t have references that match our ideas, the artist will concoct or develop these within the day. Sketching out ideas and using perhaps more than one reference, the artist will build a visual image to paint. You will need to balance out all the elements of the scene – fields, gardens and property – it will be a morning of planning and structuring. Choose your preferred medium and develop your composition with the aim of reflecting the character of the scene. Max will teach you planning, developing ideas using sketches, value studies, colour mixing and one to one tuition to aid each student. This is an ‘open medium’ session which relies on the artist to work with a medium that they feel comfortable with. 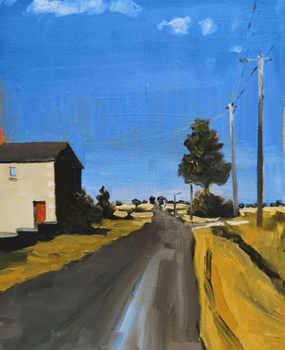 The focus of the workshop is less about the practicalities of the medium itself, and more about developing the scene, mood and atmosphere to build a credible painting. 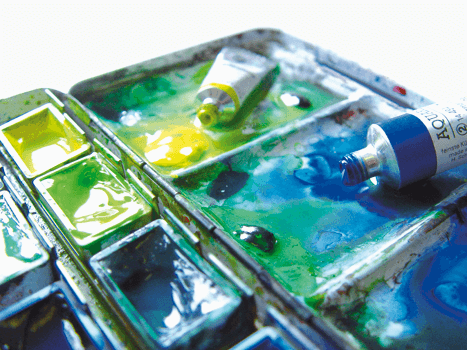 Suitable for all levels of artist except total beginners – choose from oil, acrylic, watercolour or pastel. You will be painting two pieces during the workshop. At least two or three photographic references and/or sketches related to countryside and cottages! Do not bring a painting to copy. 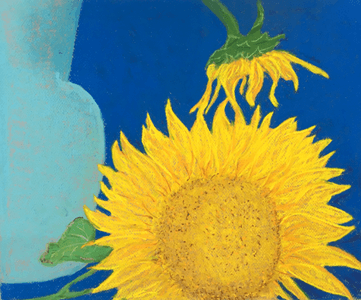 Your chosen medium – oil, acrylic, watercolour or pastel. We sell large ranges of all these mediums in the shop. Depending on your chosen medium, please bring at least two pieces of ground to paint on. We have many options available in the shop. Two or three rags for cleaning your brushes. A palette to suit your medium – we can advise in the shop. 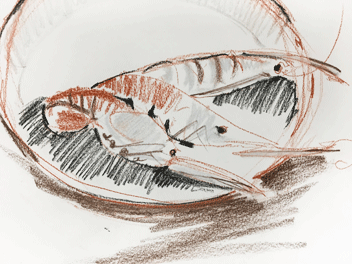 Drawing implements – pencil, charcoal, Conte stick. Sketchbook – A5 or bigger. Tea & coffee will be provided throughout the day. All attendees receive 5% off in our shop adjacent to Studio One at Pegasus Art. 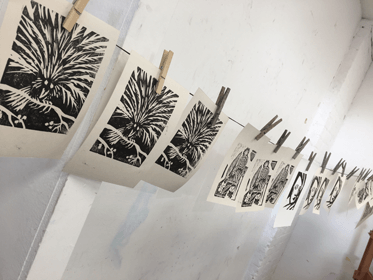 Join this two day workshop with experienced tutor Rod Nelson and learn how to create prints from woodblock. 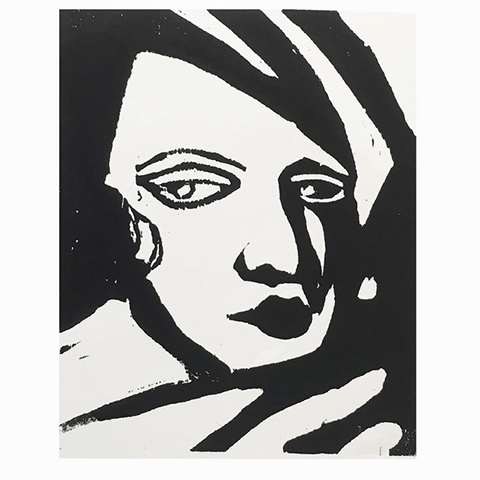 Making prints from woodblock produces images that cannot be made in any other way. It is a fascinating and versatile art and craft of ancient origin and modern artistic relevance. This basic course will familiarize you with techniques, processes, tools and materials sufficient to make a small print using more than one single colour. 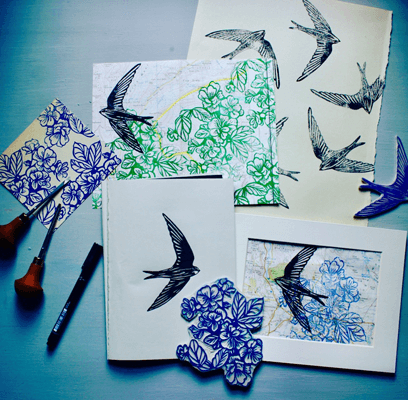 You will learn methods to ensure accurate placement of colour onto a previously printed block. It will be an eye opener for beginners and experienced artists alike. No previous experience is necessary. 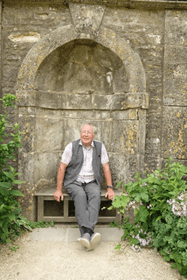 About Rod Nelson: Rod, who lives near Nailsworth, has made prints most of his life. Having professionally worked with wood, he has very good technical understanding of the possibilities of the medium. He takes inspiration from many different sources – from nature, from landscape, and of course, from other artists and printmakers. The artist who has had the greatest influence on his work was the maverick Japanese woodblock artist, Shiko Munakata whose work has a great sense of freedom, and respect for beauty and decoration. However, he has also drawn inspiration from other woodcut artists Europe (notably Germany), China and Japan. As well as having work in exhibitions around the country, Rod’s work has been shown in various UK galleries, Shanghai, and in Germany. 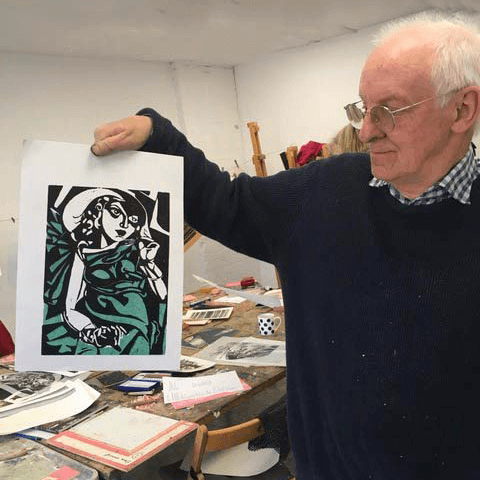 He was a founder member of the print-making cooperative Pine Feroda, and currently teaches woodcut at the renowned college of the arts and crafts at West Dean in Sussex, as well as at the Royal West of England Academy Drawing School, in Germany, in Holland, and in Nailsworth. 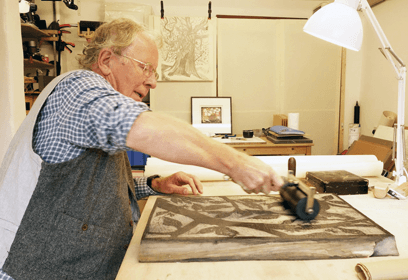 He is co-author (with Merlyn Chesterman RE) of the book Making Woodblock Prints, published by Crowood Press which is available to buy at Pegasus Art Shop for £9.99 and can be signed by the author during the workshop! Tea and coffee will be provided throughout the day, but please bring your own packed lunch. Read a recent blog post about famous printmaker Katsushika Hokusai written by Rod on our blog here. Rod will bring all the basic equipment required for printmaking. The cost of the two day workshop includes the cost of the materials you will use. The only thing you will need to buy is good quality paper for final printing – we recommend Somerset Velvet Printmaking paper in Soft White which can be purchased in the shop for £3.75 per sheet. Bring a sketchbook, pencils and rubber. (Available from the shop on the day). 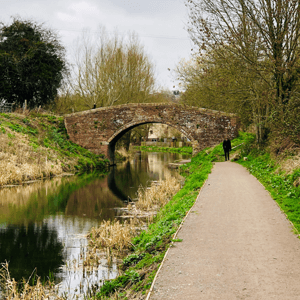 Bring a packed lunch with you – there is no café at Griffin Mill. 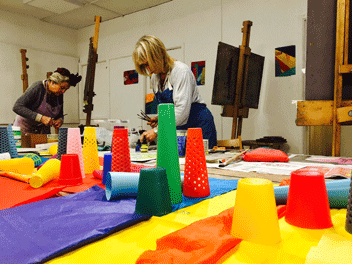 All workshop attendees receive a 5% discount in our extensive fine art materials shop next door to Studio One. If you would like to pre-order anything before this workshop, please call ahead. 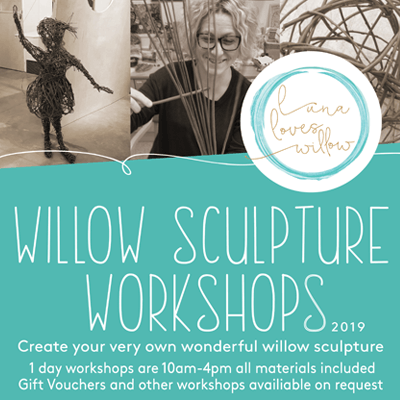 Join willow expert, Zoe Bate, for her fun and informal willow sculpture workshop at Pegasus Art. She is taking bookings for Saturday 14th September. The 1 day workshop is from 10am – 4pm and costs £75 which includes all materials. No experience neccessary. Gift vouchers and other workshops available on request. Please bring a packed lunch with you! 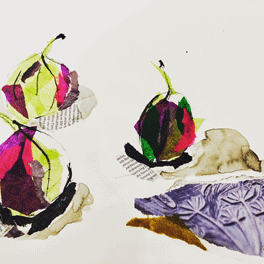 This one day workshop is a taster session for a totally new course coming up in 2019 where ink pen and watercolour wash is applied to make interesting and beautiful pieces of art. 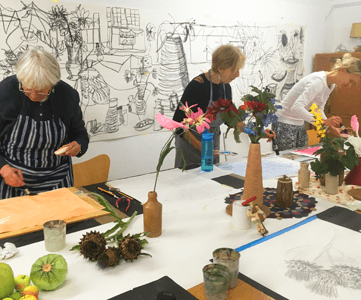 During this day session you will learn the structure and methods of using ink and watercolour in harmony, how to balance the two complementary mediums to obtain the best results. 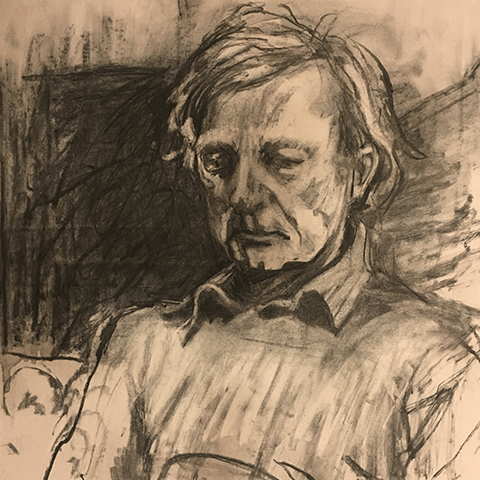 Ink and wash is not new but you will benefit from Max's early experiences as an artist/illustrator to explore the vast possibilities that using the marriage these two different mediums affords. 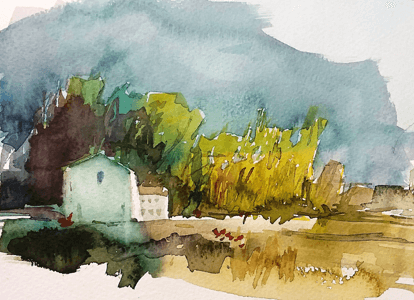 The day will use landscapes as a genre to build your skills and to give you a really good grounding on the methods of using pure line with beautiful colour washes. Students will work from either their own images, or those provided by the tutor. At least two or three landscape references to use for painting, photographs or sketches. Please do not bring paintings to copy whether your own or from a third party. All abilities welcome, including beginners. 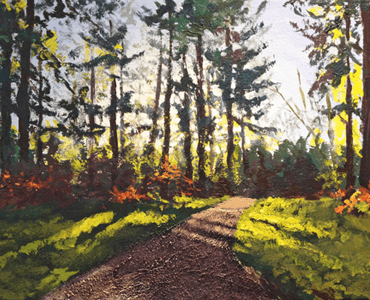 Join artist David ‘DJ’ Johnson in exploring different ways of applying paint to achieve a variety of textures that you will find in an Autumnal woodland scene! Don’t worry if you’ve never worked with acrylic before – David will show you the best way to harness this medium. His approach is to guide people step by step, demonstrating each stage of the scene, followed by one to one tuition. Try different ways of holding your brush to achieve new effects, use your fingers, sponges, pieces of cardboard – all of which achieve suprisingly unusual results. To increase the textural element, you will have a go at adding sand to your paint. All students will be working from the same photograph (provided by DJ). He will help to build your confidence, work on colour mixing, composition in order to return home with a finished painting. Acrylic paints: Titanium white, yellow ochre, cadmium yellow, burnt sienna, alizarin crimson, purple, ultramarine blue, cerulean blue, raw umber, burnt umber and sap green. 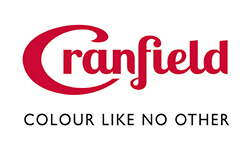 Cranfield Colours has well priced 60ml tubes of these colours. Canvas: We have many at Pegasus to choose from, but recommend 12” x 12” such as the Loxley Gold Stretched Canvas. Hog Hair Brushes: A range of hog hair brushes, preferably flats, sizes 2 & 5 or 3 & 6. Such as these Robinson Fine Hog Bristle Brushes. Old Brushes: Bring some old brushes that you don’t mind bashing about! Palette Knife: Such as the Artist Starter Set of 5 Palette Knives. Palette: Such as a wood oval palette. A Packed Lunch: There is no café at Griffin Mill. Don’t worry if you’re not sure about the above materials list – DJ can help you choose from the art shop on the day. About DJ: DJ has developed his style through many years working in professional fine art studios – designing and producing artwork for commercial spaces, public areas and private estates around the world. He paints every day and teaches on a regular basis – he has so much energy and enthusiasm! He was shortlisted for Artists & Illustrators Artist of the Year 2016. His workshops are great for building confidence, tackling unusual subjects and picking up techniques and tips. Capture the mood of the model and the structures below the skin. Learn how to fully utilise this simple yet incredibly versatile medium of charcoal. Fiona will demonstrate rapid, dynamic mark-making techniques that are fluid and painterly which will help you to be more intuitive in your drawing. 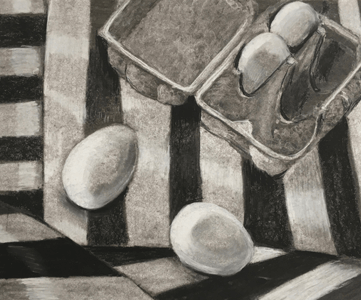 You will be shown how to build a variety of tones from white to vibrant blacks using layering methods, different grades and sizes of charcoal and a variety of erasers. 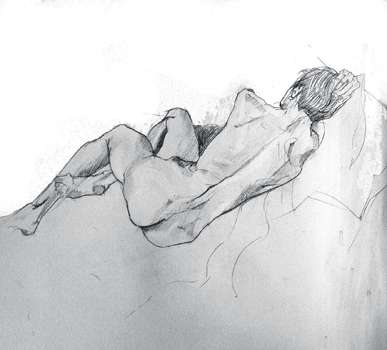 About Fiona: Fiona McIntyre is an experienced artist and tutor who trained at Edinburgh College of Art in the early 80's when life drawing and anatomy was still mandatory. Later she was mentored by Swedish printmaker Bertl Lundberg at his studio in Malmo, followed by an M.A. in European Fine Art at Winchester. 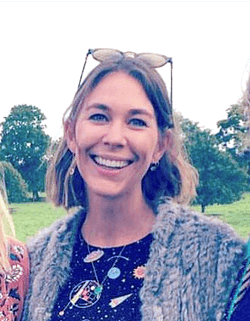 She teaches at Marlborough College Summer School and run workshops at Asthall Manor, Barnsley House, Bruton Art Society and New Brewery Arts. She has taught at several art schools including Westminster School of Adult Education, South Thames College of Design and Media, Central School of Speech and Drama, Farnborough College of Technology, Medborgarskolan Lund Sweden. 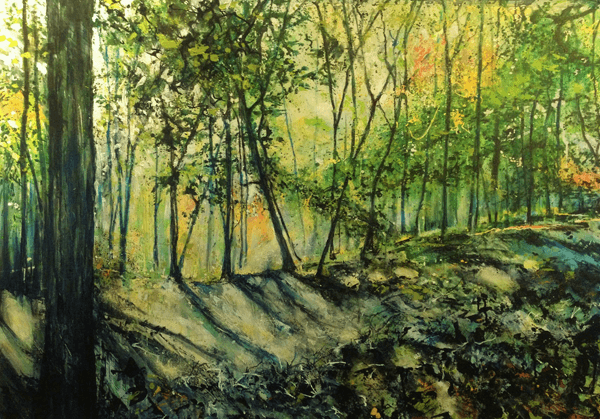 Fiona is a figurative/landscape painter and founding member of The Arborealists. 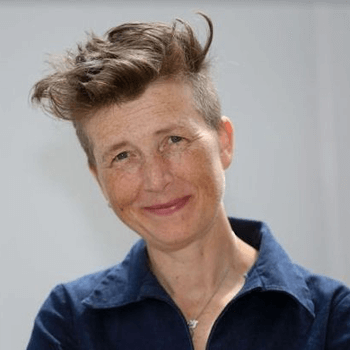 Her work has been exhibited in museums and galleries throughout the UK and Scandinavia. She is represented internationally in public, corporate and private collections in the UK, Scandinavia, Papua New Guinea and Alaska. 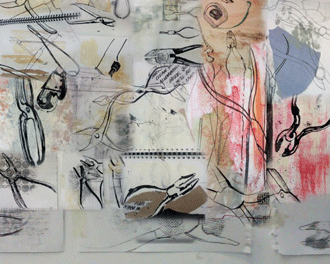 She is currently showing work in 'Drawn to London: In the Shadow of the Tower' at Bermondsey Project Space London. 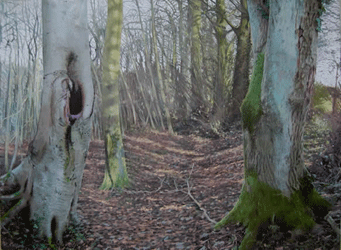 Critically acclaimed exhibitions include 'Under the Greenwood: Picturing the British Tree' at St Barbe Museum Lymington, 'The Romantic Thread in British Art: Turner to Le Brun' Southampton City Art Gallery, 'Arborealists: Art of the Tree' RWA Bristol, 'Capture the Castle' Southampton City Art Gallery. 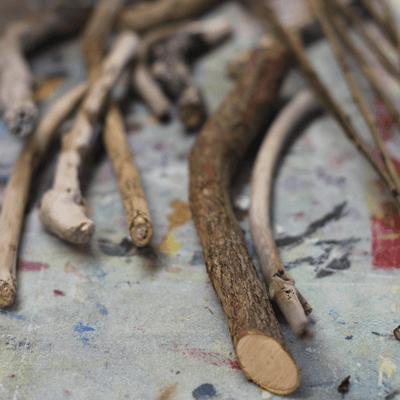 Charcoal – we recommend Musgrove Willow or Nitram, both sold in our shop. The shop is open from 9am, so please do come before the workshop to purchase what you need. We can offer an extra 5% discount to workshop attendees. We can advise you, so don’t worry if you’re not sure! 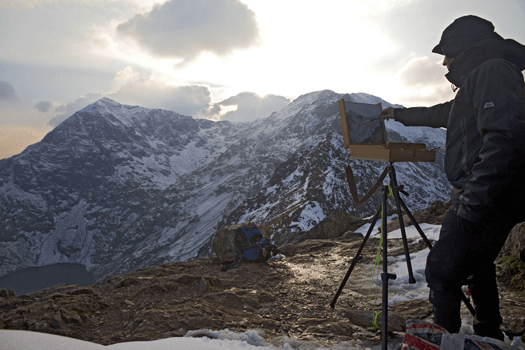 Artist David ‘DJ’ Johnson is well known for his extreme en plein air paintings – he is an adventurer who likes to climb mountains and paint extraordinary landscapes. He will teach you how to create this aurora effect through a series of guidelines and techniques that he has learnt over the years. Everyone will come home with a finished (or almost finished!) 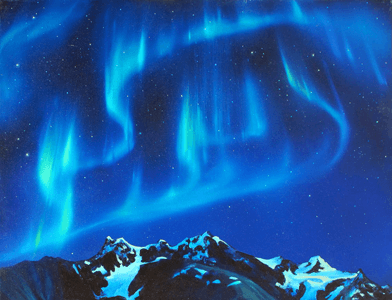 painting of the aurora and mountain scene! DJ will bring along pre-prepared gesso boards for you to work on (this is included in the price). Ampersand Gessobord for oils and acrylics size 16" x 12". Whatever oil paints you already have. DJ favours Winsor & Newton and Michael Harding paints. You can buy starter sets like these: Winsor & Newton Artisan Water Mixable Oil Colour and Michael Harding Oil Paints. Useful, but not essential colours are: Titanium White, Yellow Ochre, Burnt Sienna, Alizarin Crimson, Cerulean Blue, Ultramarine Blue, Prussian Blue, Dioxazine Purple and Raw Umber. A range of brushes – hog hair brushes, preferably flats sizes 2, 5, 3 or 6. Such as Roberson Fine Hog Bristle Brushes. A fan brush for delicate blending techniques. Such as Pro Arte Series 33 Fan Brushes. Palette: Such as a Cappelletto Walnut Oval palette. A Packed Lunch - There is no café at Griffin Mill. A beginners or refreshers course. ‘DJ’ is a talented artist (shortlisted for Artist & Illustrator Artist of the Year 2016) and adventurer with a passion for the sea and mountains. 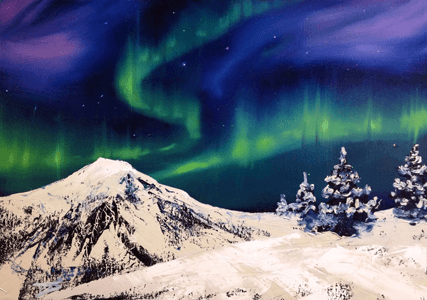 This workshop will be taught through a series of demonstrations and one to one tuition, showing you a variety of techniques and methods for applying paint, including alternatives to brushes. You will study and play with colour, light and textures, allowing for individual creative expression. 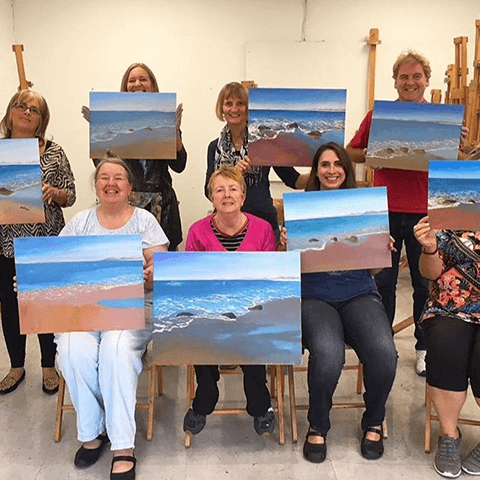 The workshop involves exploring the reflections and highlights of sunlight in the sea, as well as the textures you find in the water and foam. 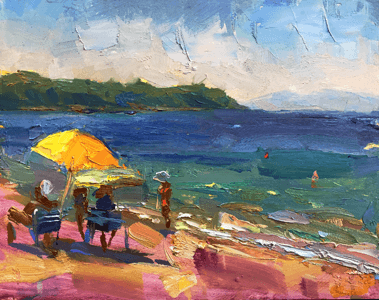 David teaches a variety of techniques using a palette knife and a rigger brush to achieve a wide range of textures and patterns which emulate the sunlight reflections you find in seascapes. We also use the palette knife and fingers to create cloud effects, and normal brushes to lay down the foundations of the painting. These are techniques that DJ has been exploring and developing in acrylics for a few years now. 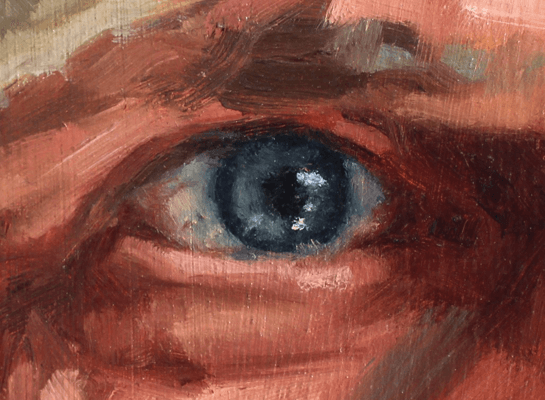 If students prefer to use oils, this is also possible – please let us know! If you prefer to use oils, that is fine too! DJ favours Winsor & Newton and Michael Harding paints. A starter set like the Michael Harding Oil Paint Introductory Set would be a great investment. Zest It if you are using oils. Brush cleaner and tissue / rags and a jam jar (with lid) for cleaning your brushes in. Canvas or canvas board 10” x 12” is a good size (such as Loxley Gold Stretched Canvas Traditional Standard or Loxley Square Canvas Boards). Brushes: Bring a selection of whatever you have including a filbert, a flat and a rigger (such as Pro Arte Acrylix Set Brushes W8 Series 202 - 204 or Pro Arte Series 201 Long Flat Brushes). A palette (such as Cappellette Walnut Palette Rectangle). Palette knife if you’d like to have a go at using one (such as RGM Progrip Palette Knife). A packed lunch including water– there is no café at Griffin Mill. Tea, coffee & biscuits provided throughout the day. 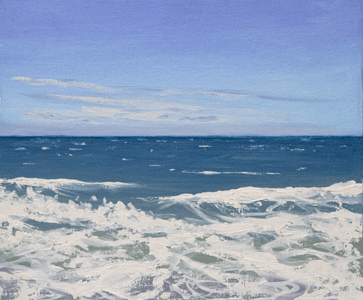 DJ will supply photographs of the seascapes and will also bring along some of his own paintings to show you! Our shop opens at 9am and we can offer you an extra 5% off art materials for your course. Please do arrive early to purchase any products you may need. 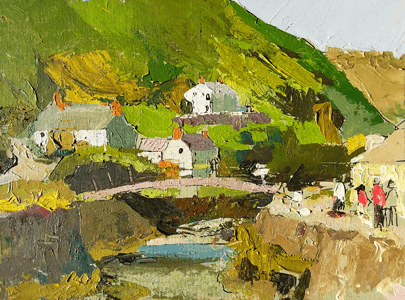 Join David ‘DJ’ Johnson as he demonstrates how to swiftly paint a mountain landscape, capturing the light, colours and textures of the scenery whilst simultaneously regailing you will tales of his extreme en plein air adventures! 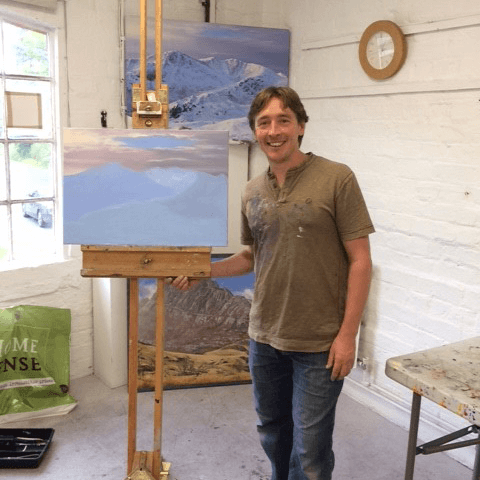 He has cleverly paired his passion for painting with a love of rock climbing and mountaineering, hiking up mountain ranges in Wales, Scotland and Bavaria to paint the extraordinary landscapes. His breathtaking paintings are much sought after, and he takes calculated risks to achieve the results! Learn about the ups and downs of being an extreme artist and some of the unusual challenges he faces. Frozen fingers and toes, painting in high winds, snow in the oil paints and meeting the ‘Beast from the East’. At the same time, you’ll see his painting come together and pick up some top tips from this amazing artist. This is an inspiring painting day course for beginners or intermediate levels, if you are painting a portrait for the first time or if you are looking to improve your portrait painting skills and learn new techniques. 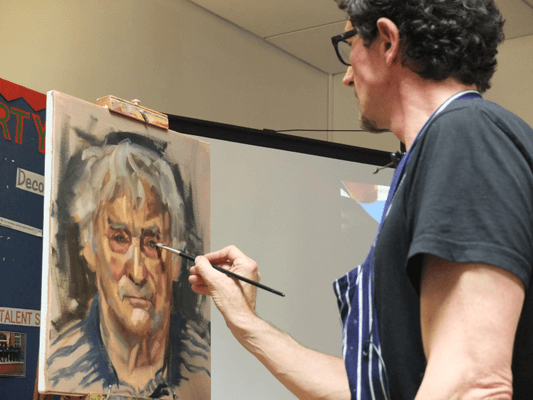 Mark will demonstrate and guide you through his well structured approach to painting a portrait, breaking it down into easy to follow steps that will cover everything from the colour palette and mixing skin tones to working tonally developing the structure of the head and creating a good likeness. Choose the medium you prefer to work with and Mark will give you plenty of one to one tuition and share his top tips. You will be working directly from a live sitter ‘with character’ which will be both challenging and rewarding. About Mark: Mark studied graphic design and advertising at Amersham School of Art before starting a career as an art director working for advertising agencies in and around London and Birmingham. He is a self taught painter who started painting in 2001 and was elected member or The Royal Birmingham Society of Artists in 2007. 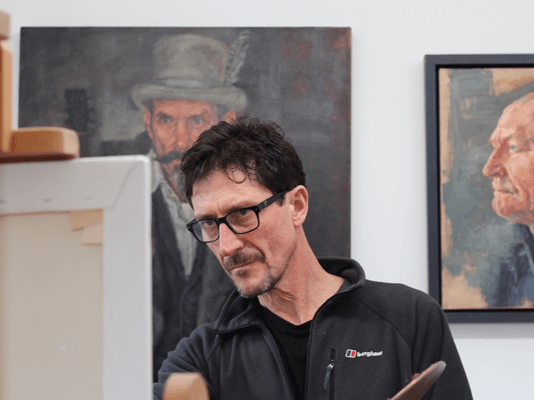 He has exhibited work with The Royal Society of Portrait Painters at the Mall galleries in London and exhibits regularly with the RBSA in Birmingham as well as locally with Buckinghamshire Art Society. 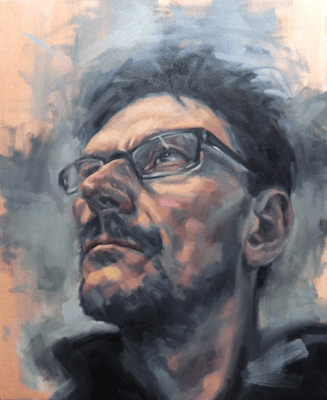 Working predominantly in oils, he specialises in portraiture and figurative work and commissions to date include Antony Worrall Thompson and the Lord Mayor of Birmingham. 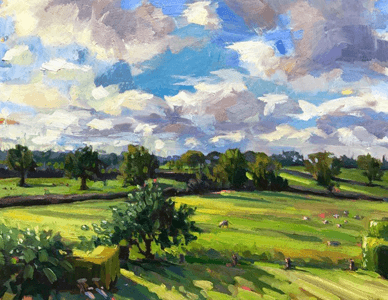 As well as painting people he also enjoys painting landscapes ‘en plein air’ and can be seen painting in all weathers around the village of Brill where he lives and has a studio. Palette knifes sizes 20 and 21 or similar. Such as thesePalette Knives - Set 5 Assorted Stainless Steel Birchwood Handles. Zest It to for cleaning brushes and as an odourless solvent. Good size flat mixing palette (no plates or paper palettes please). Such as Capelletto Walnut Palette 30 x 40 cm Rectangle. Oil colours or acrylics. Recommended colours: titanium white, naples yellow, cadmium yellow pale, yellow ochre, cadmium red, alizarine crimson, burnt sienna, ivory black, french ultramarine. We sell a range of oils and acrylics at Pegasus Art, including starter sets such as the Cobra Water Mixable Oil Colour Set 6 x 20ml or the Cranfield Spectrum Acrylic Paint Selection Set 6 x 60ml. Please ensure you bring a carrier bag with you for taking home your wet painting. 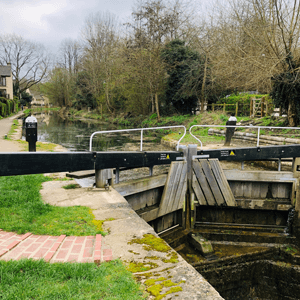 Please bring a packed lunch with you – there is no café at Griffin Mill. Debunking composition! Melanie will show you how to create dynamic compositions with her easy to follow hands on teaching methods. You will experiment with composition and leave with the skills that will allow you to make use of composition with impact. Colour Theory. Using colour really helps to evoke emotion in our artwork. All too often however it becomes an element of our artwork that we guess at. Melanie will show you how to use colour theory as a tool to create impact leaving you feeling confident about your colour palette. All attendees receive 5% off in our shop adjacent to Studio One at Pegasus Art. All of the materials below are available. Tea & coffee will be provided throughout the day. Please bring any materials you already have and would like to bring. Mel favours the following materials which you can use as a guideline for this course. White gesso – any kind. Our Jo Sonja 250ml bottle is the cheapest. Golden gloss medium – this is a nice extra, but certainly not essential. Mel can show you how to use it. Amsterdam acrylics - Mel recommends Naples Yellow and White. Learn how to paint with watercolours: simple techniques to gain confidence, colour mixing & palette, all about papers - inspiration and fun. 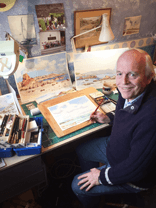 Richard Callingham is an experienced watercolourist, having taught at home and abroad for the past twenty years. "Watercolours are my passion. No other medium can give such a fresh and spontaneous effect." The classes are designed to appeal to the beginner and uses a very simplified approach. 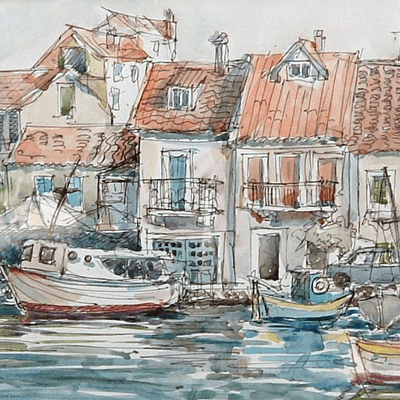 More experienced watercolourists may also benefit from picking up a few tips! For your first lesson Richard will supply all the necessary equipment - he can advise you on what to purchase for future practice, and it needn't be expensive! Mondays ongoing 10.00 am - 12.15 pm. 6 week course cost £96. 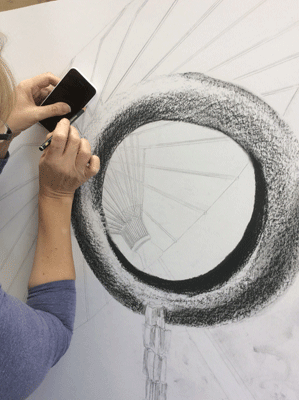 Sue returns to teach her drawing and mixed media class at Pegasus Art. She has been teaching Fine Art at Stroud College for many years and more recently to degree students. A course designed for students who already have some experience but wish to develop skills and explore individual ways of working. There will be an emphasis on drawing during the first few weeks, followed by an exploration of a variety of materials and subject matter. Projects will be set each week but students can also initiate their own project and choice of materials - with guidance from the tutor. You will be encouraged to keep sketchbooks. 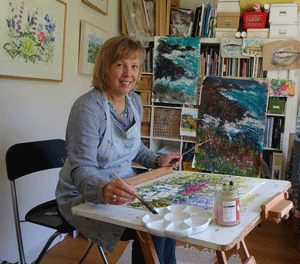 About Sue: Sue is a practising artist who paints, uses mixed media and draws regularly. She has exhibited in solo shows in London and the South West. Her paintings are about a sense of place and she uses a variety of mediums to explore subtlety, contrast of mark, translucency and density of colour. Work also includes textural materials such as plaster, sand and collage to express the geology of a location. Her teaching style is guiding and nourishing – with a focus on encouraging her students to explore their individual style and potential. *Suitable for students with some experience* Feel free to contact Sue to discuss the course. Join Max Hale for morning classes where he will be teaching different mediums throughout the year. He is a very experienced teacher and skilled in every medium. You will learn a huge amount! Explore this planet of ours in all it's natural beauty. 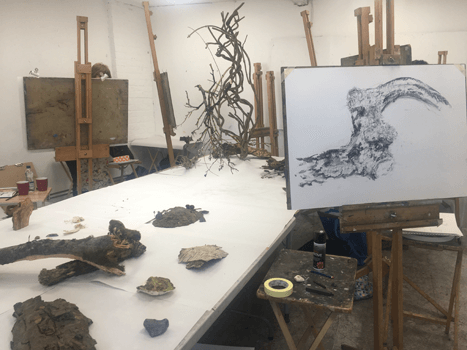 Draw and paint in the medium of your choice - a close up of a flower, a piece of driftwood, a fox, the scene of Lake Titicaca or trees from your garden or local park. Each provides a new challenge for the artist! Max will guide you in how to tackle the softness of clouds, the sharpness of rose thorns or how to give mountains perspective. You will really begin to see the benefits of this ten week course and gain so much enjoyment from building your confidence. 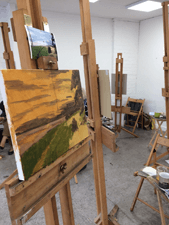 Afternoon Classes "Painter's Mastery Course 2019" from 5th March - a nine month course. 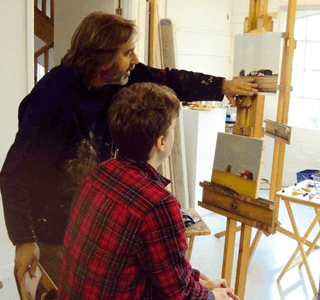 On Tuesday afternoons from 5th March, Max will start a nine month course called 'Painter's Mastery Course 2019' aimed as a year of learning in three terms, taking you on a complete learning journey. This a totally new three-term course of 28 sessions - Spring: 10 weeks, Summer: 6 weeks and Autumn is 12 weeks. 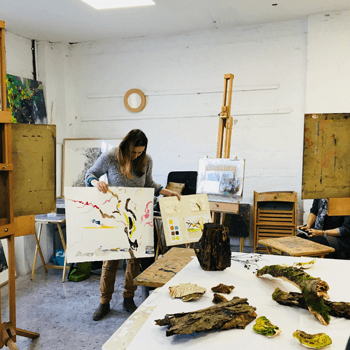 It will offer the artist a much improved learning experience as it incorporates valuable practice time and opportunities to study a favourite genre as the course progresses. 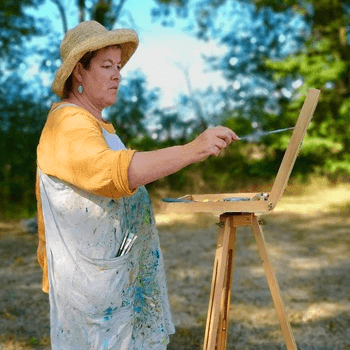 During the classes the artist will be introduced to pertinent skills helpful in certain genres and technique relevant to a particular subject. Being able to use these skills throughout will give the artist greater understanding and confidence as they progress, consolidating as they paint, continuing throughout. 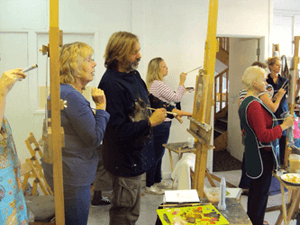 The course is aimed at artists who are not total beginners but have had some experience in painting in oils or acrylics. So if you want to move forward with your painting, develop understanding in all the skills, technique, vision and expertise trying many genres this will tick all the boxes. Designed for anyone wishing to develop their drawing skills and suitable for all abilities, Paul uses a format to encourage and challenge. 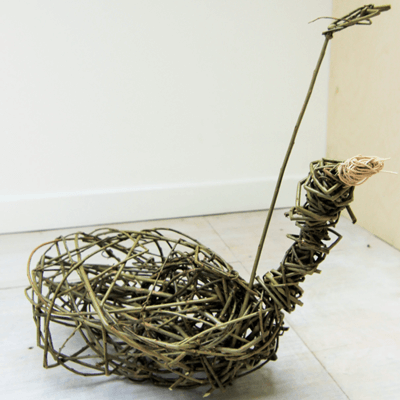 Each 6 week course has a set theme and uses a series of objects and references to inspire and surprise. 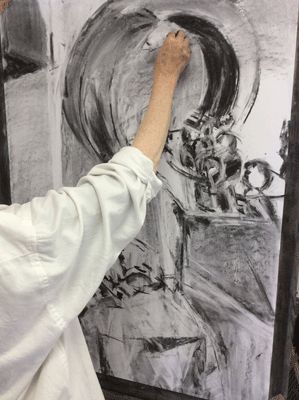 One drawing is developed over the six sessions on a large sheet of paper. 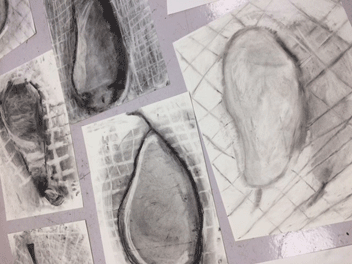 Each week drawings morph and develop as the new objects arrive giving students the freedom to incorporate imagination and experiment with a variety of drawing techniques. 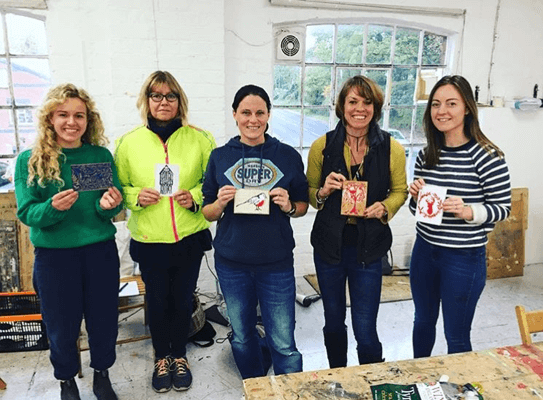 Be inspired in this enjoyable, relaxed class to try different materials, media and techniques. Alison demonstrates techniques and creates a wonderful warm atmosphere in her classes. Have fun and develop skills of observation, interpretation- let the imagination flow! A lovely after school class with encouraging teacher Alison who sets a really nice vibe in her class. 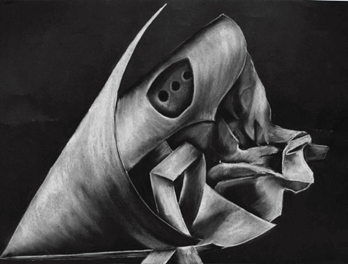 Explore different medium and be challenged to draw objects in detail. Even if you are not naturally creative, come and have a go! Contact Alison on info@alisonvickery.co.uk for more information. 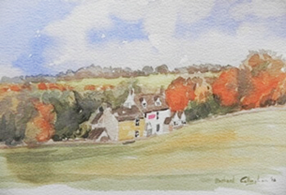 Continuation of this original format tutored by experienced artist and tutor Paul Fowler. With the use of climbing ropes the life model is posed off the ground creating interesting and challenging drawing opportunities. Suitable for the less experienced right through to professional artists. The afternoon session is long poses. 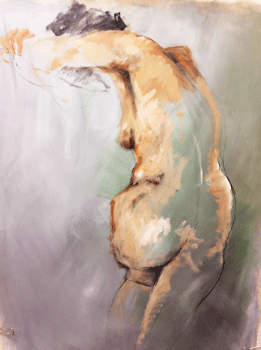 Practising artist and tutor, Paul Fowler, has been teaching Life Drawing at Pegasus Art for nine years. This short film gives you a taster of the inspiring, challenging and exciting classes he runs. Many of his students have studied with him year upon year, continuing to learn and 'really see' the human form in new ways. After all, Life Drawing is the cornerstone of any artists development. 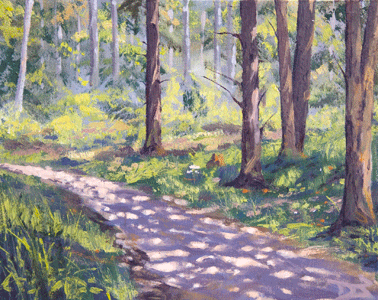 With Rob's encouragement and skill, find ways of painting that suit you individually in any medium. 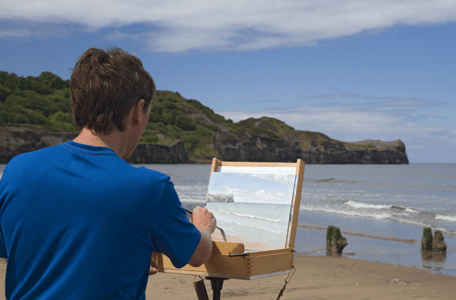 Rob has designed this course to appeal to anyone wishing to develop their painting skills whether your are a complete beginner or someone with experience working in isolation who needs guidance and motivation. 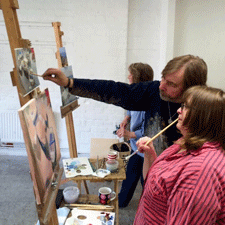 As a serious professional artist and experienced tutor Rob is perfectly placed to encourage his students. He will set up a still life each week but expects many students to work from their own source material or on self motivated projects. Friday 9.00 am - 12.00 pm - 7 weeks cost £91. Friday 1.00 pm - 4.00 pm - 7 weeks cost £112.